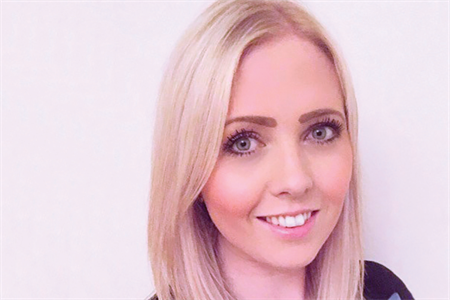 Starring in C&IT's A List 2017 is Stacey Close, 32, account manager at In2Events. Stacey’s career began working as a freelance designer for luxury hotels around the world before moving into the global technology industry. Seeking a role that appealed to her creative outlook, she took on an account management role at In2Events last year. Boss says "When starting, Stacey asked me: ‘Where do I start with my training’, and I responded: ‘Well, we need to learn the world, so best get going’, and she’s doing very well at that," says Gavin Farley, managing director. Best project I’ve worked on The greatest thing for me is coming in and working with our key client accounts and seeing them grow during the past year, which has been a great personal and company achievement. Most challenging moment The scenario of picking yourself and the team up when any pitches aren’t successful. Dream client I love rugby so if I ever got the opportunity to work with the England Rugby team it would be a dream come true. Alternative career I would always consider going back to the design industry. Goals before 40 To aim towards the account director role and perhaps move into a business consultancy role.